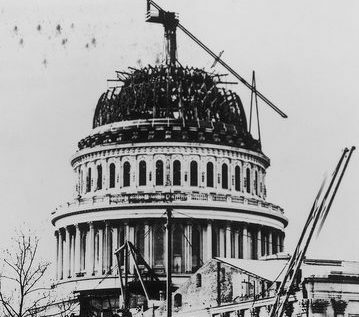 allenjaym February 11, 2019 VisualizationsLeave a Comment on Congress and the administration are using and abusing history at least six times a day. Historians might have something to say about this. The project’s sources are the Congressional Record, the White House Press Office, and transcripts of public appearances by most cabinet secretaries. The project’s homemade scripts scan these texts looking for patterns and phrases that are known, through extensive testing, to be associated with historical statements. The project editor then culls this list further, leaving only statements that are tied to discussions of policy or politics. The project does not include, for example, casual references to the “longest shutdown in history” unless there is a particular policy point that depends on that historical reference. Nor does the project include mentions of anniversaries, tributes, birthdays, or purely biographical or autobiographical statements. The Political Uses of the Past Project will capture and catalog these statements and use them to hunt for patterns, reveal world views, engage historians, and inspire discussions. For more on this effort visit the project’s “About” page.